Choosing your career is one of the most important decisions that you make. You need to take your values, abilities, talents, and goals into consideration when you think about which career path is the right one for you. Many people find traditional 9-5 office jobs stifling and would much rather like to work with their hands. If this applies to you, here are five promising careers for people who love working with their hands. HVAC refers to heating, ventilation, air conditioning, and refrigeration. HVAC technicians install, maintain and repair these temperature and air quality control systems. They work in a variety of venues, such as residential homes, hospitals, business, or any other entity where heating, ventilation or air conditioning will be used. HVAC technicians may find themselves working in cold or overly warm environments since cooling or heating units are often found outside or in difficult to access locations. In 2012, HVAC technicians made an average of $43,640 per year, as reported by the BLS 1. The job outlook for this profession is excellent, as it has a projected growth rate of 21% by 2022, with especially promising opportunities for those who complete HVAC training. Welders shape and join metal parts, and they work in a variety of industries, ranging from car manufacturing to energy extraction. This occupation is expected to grow at least 6% 2 by 2022, which is slower than average. However, the recent oil boom in the Gulf Coast region as well as other areas of the country has resulted in a large demand for skilled welders, according to Forbes.com. Employers would look for professionals who have completed comprehensive welding training. The BLS reports that welders make an average of just over $36,000 per year (as of 2012). Yet, as many experienced welders are expected to retire within the next decade, demand will rise sharply and wages will likely follow. Massage therapists use their hands as the tools of their trade. According to the Mayo Clinic, massage therapy uses different forms of hand-manipulation on the muscles, tendons, and joints of the body to promote increased circulation, removal of waste from tissues, and relaxation. Massage therapy also has been used in the treatment of pain and stress of heart disease, stomach problems, fibromyalgia, substance use disorders, and cancer. As per the Bureau of Labor Statistics (BLS) 3 the job outlook for massage therapists is much faster than average job growth—approximately 23% over the decade from 2012 to 2022. In 2012, 132,800 massage therapists were employed in the US, and the most massage therapists made approximately $35,970 per year. Carpenters help erect the buildings that we live, learn, work, and do business in. They construct, install and repair the framework and structures made of wood and other materials. They take part in many types of construction and work both indoors and outdoors. The majority of carpenters learn their trade through an apprenticeship or on-the-job training. According to the BLS 4, carpenters make an average of $39,940 per year, and the field is expected to grow by 24% by 2022. Automotive technicians inspect, maintain, and repair vehicles like cars or trucks. Although the BLS 5 states that no training is necessary to start working as an automotive service technician, many employers are beginning to require employees to attend additional training courses or obtain certification before being granted the actual title of automotive technician or mechanic. The field of automotive technicians is expected to grow at an average pace of 9% from 2012 to 2022. In 2012, mechanics made $36,610 per year. However, the actual salary may vary depending upon the geographic location and type of vehicles worked on. No matter what type of career you are looking for, the current promising economical outlook afford you the opportunity to find your niche in the labor market. 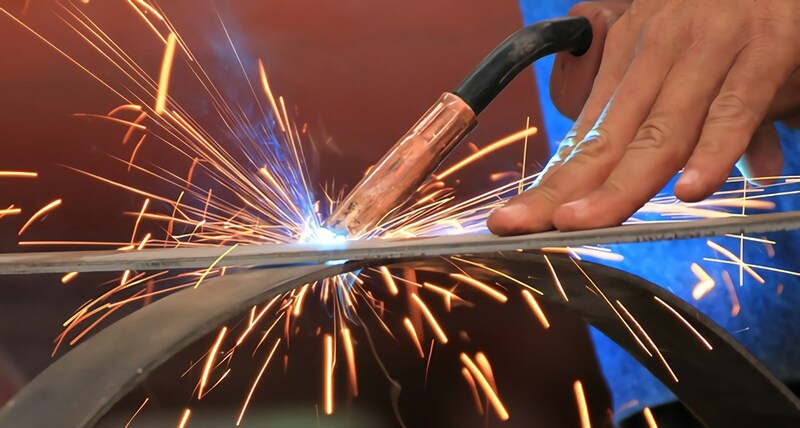 Whether you want to provide relaxation therapy or become a professional welder, if you love to work with your hands, you have plenty of great career choices.